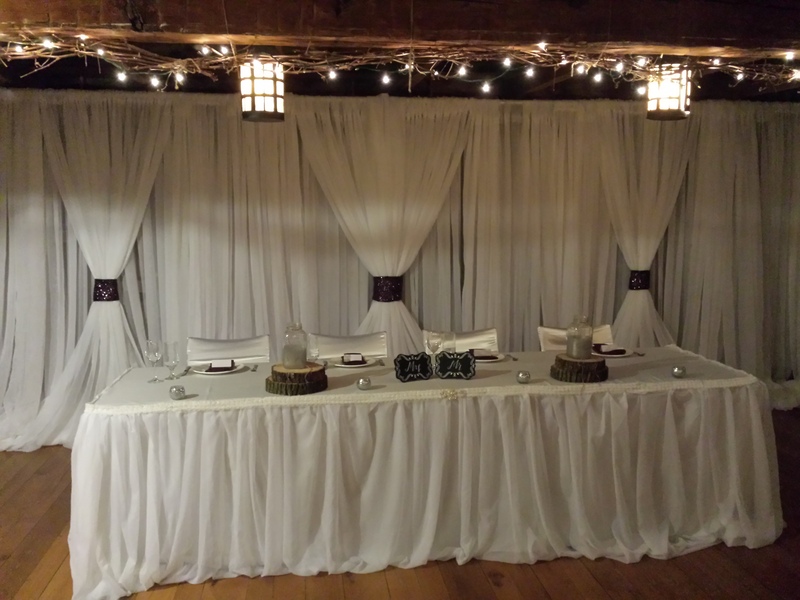 Last weekend we had the pleasure of decorating the Navy Hall in Niagara On The Lake for the first time. We have been in business for many many years and never had the opportunity to decorate the Navy Hall. 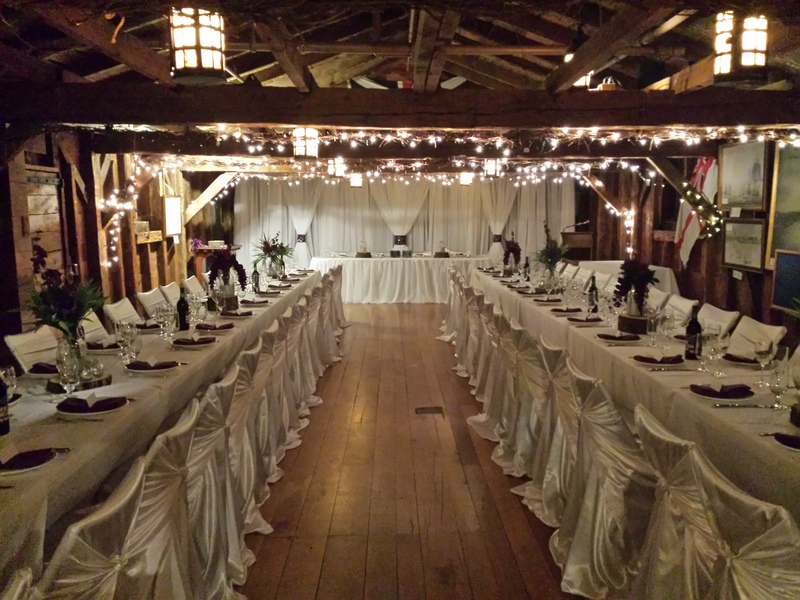 It is a historic site, quaint and cozy for a smaller wedding; so really does not require a lot of decor. The bride and groom however did what chair covers; which always make a room feel like a wedding. They opted for the DIY option and put the white satin pillowcase on themselves. I provided a backdrop which was a big concern for them as the venue has a large historic photo on the back wall with 2 large flags. They just wanted something a little more neutral to make them the focal point of the evening, as well as to create a nice backdrop for photo’s. 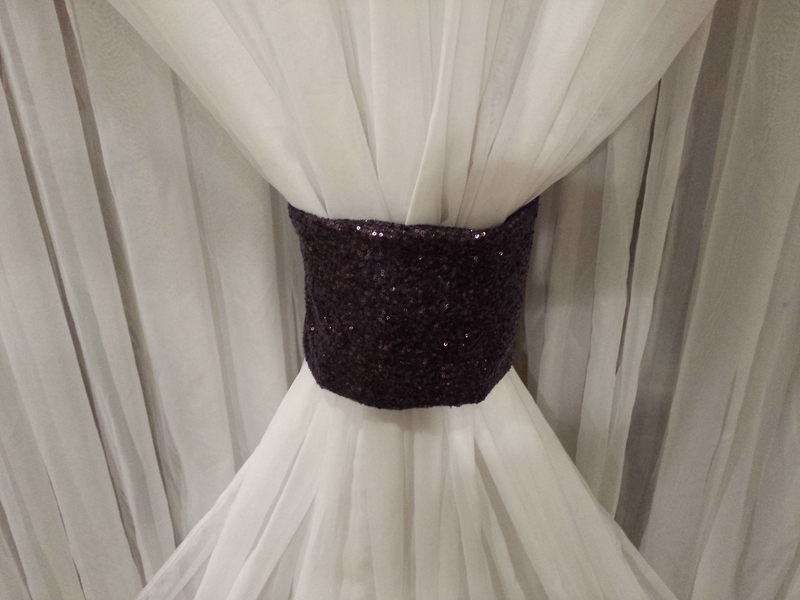 The backdrop that we felt suited the venue and the feel of their wedding best was the triangle style, we completed the look with glitter bands in the couples color, plum. 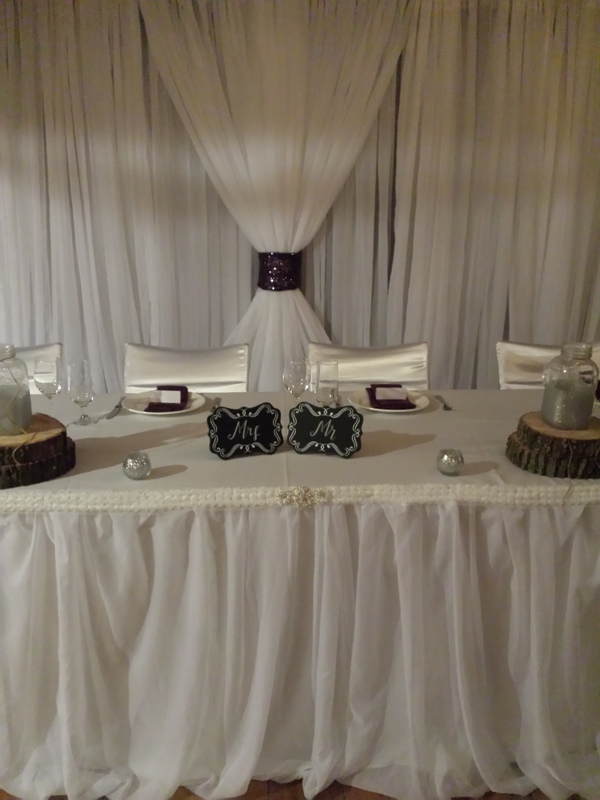 Also a little simple draping on the head table. 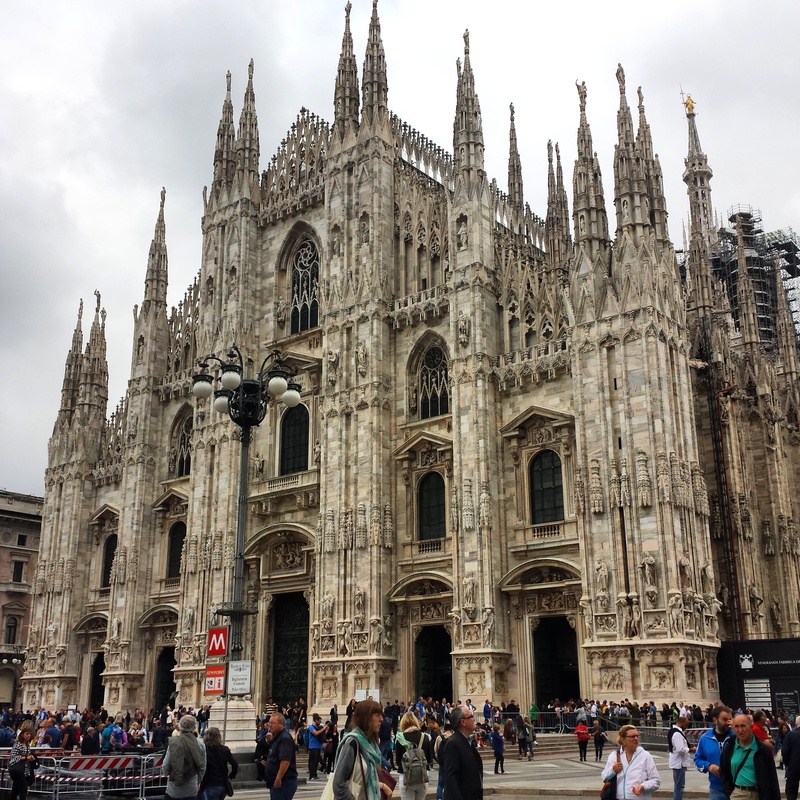 It’s been a very long time since a blog post but we were on a GREAT BIG EUROPEAN family vacation. Never being to Europe I have to say this was an amazing experience. Travelling from Venice, Italy to Wegen, Switzerland to Milan, Italy to Vasto, Italy to Meta, Italy and finally Rome, Italy. Each place with it’s own unique foods, history and scenery. How inspiring old rich history and scenery can be! I have been back 3 weeks refreshed and ready for a very inspired 2016 season; full of new and exciting trends. I wanted to share some of my most inspiring photo’s with all of my readers, customers and friends. 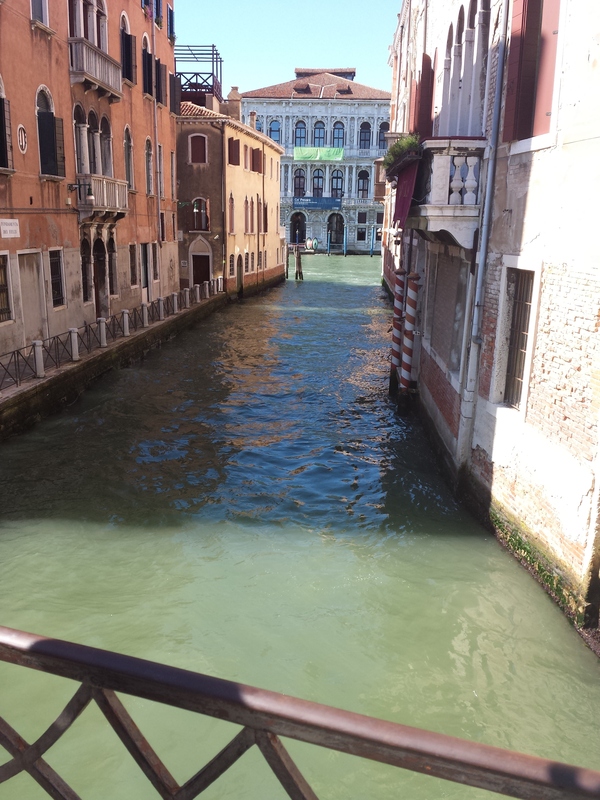 Venice and one of it’s waterways. It’s a little hard to get your bearings because there are so many water ways and bridges but this is a special place on our planet. 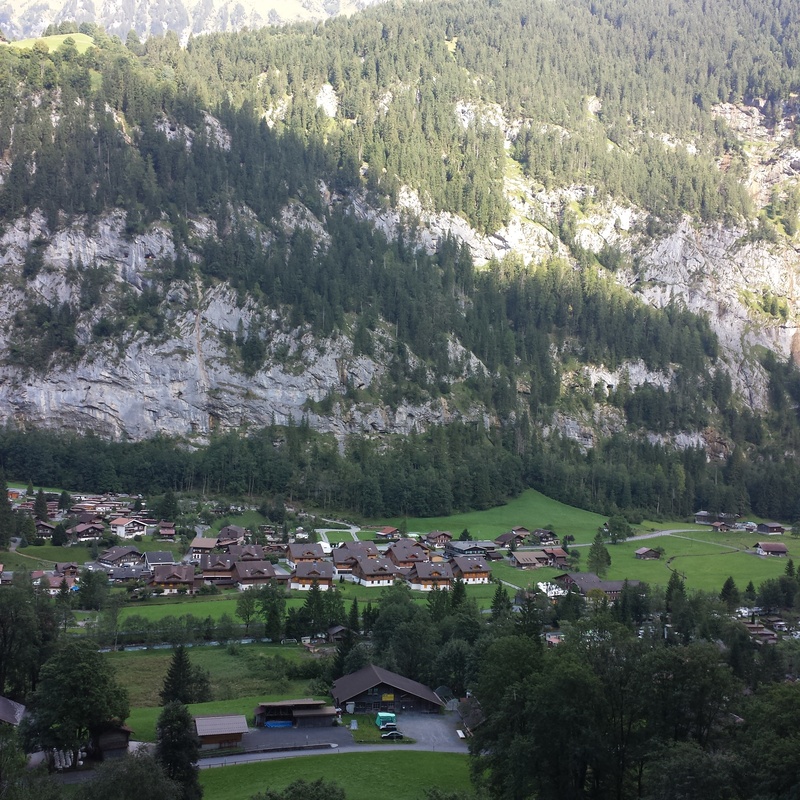 Switzerland, the most scenic place on earth, taken from in Wegen looking into the Lauterbrunnen Valley. It is hard which picture is my favorite as they are all equally amazing. 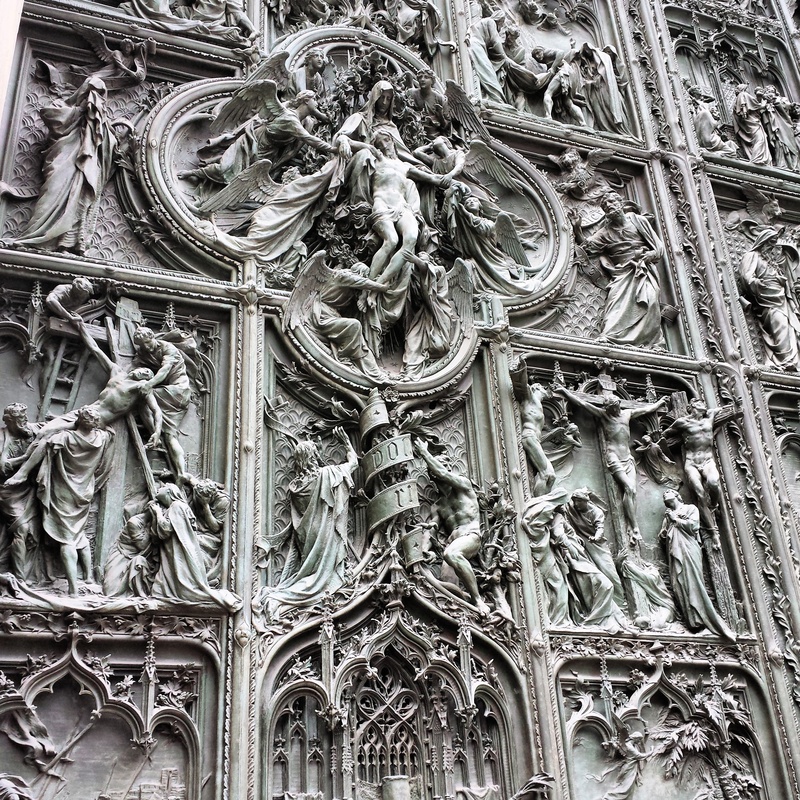 Milan Duomo – this most beautiful detailed church/cathedral I have ever seen. The second image is the door. You could sit there for a month and still find a new detail every day. 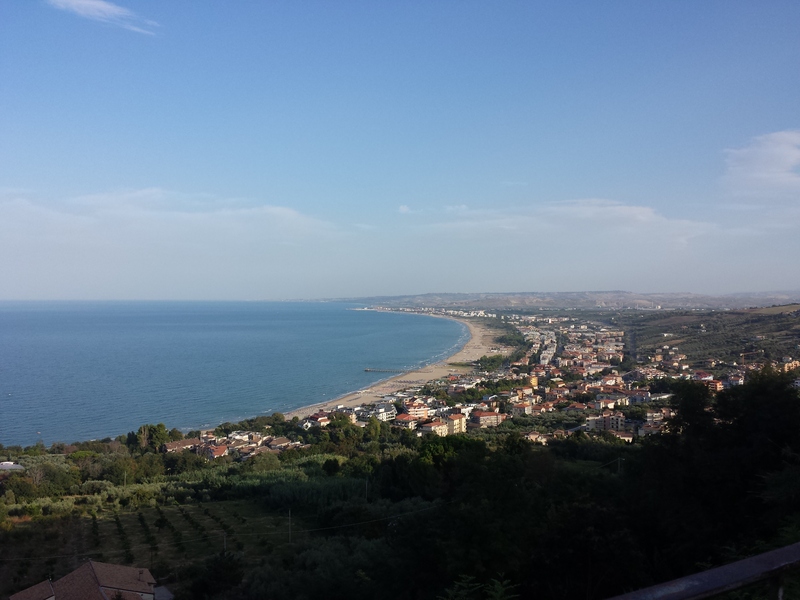 The coast along Casalbordino and Vasto. There is very little tourism here and the beach is so quiet! 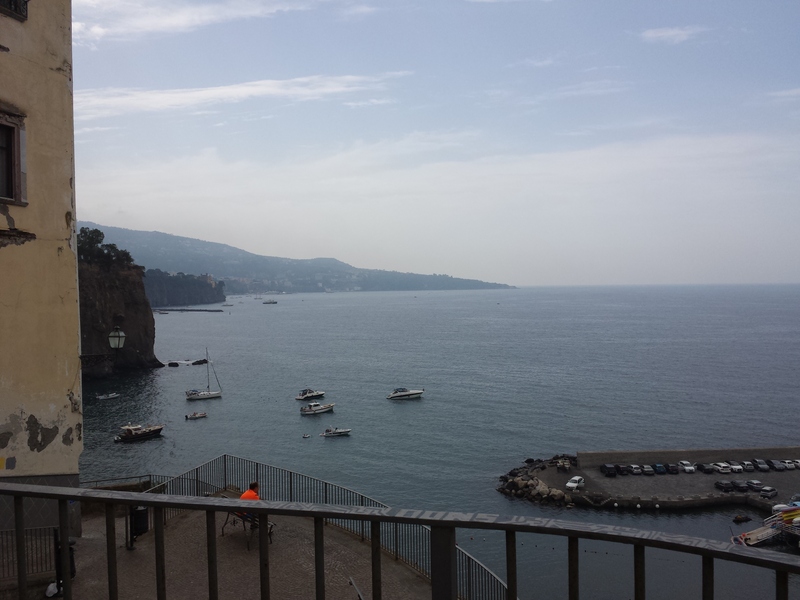 Meta – the view from the harbour/beach facing the Almafi Coast. Meta is a smaller town, very quaint for a tourist area. 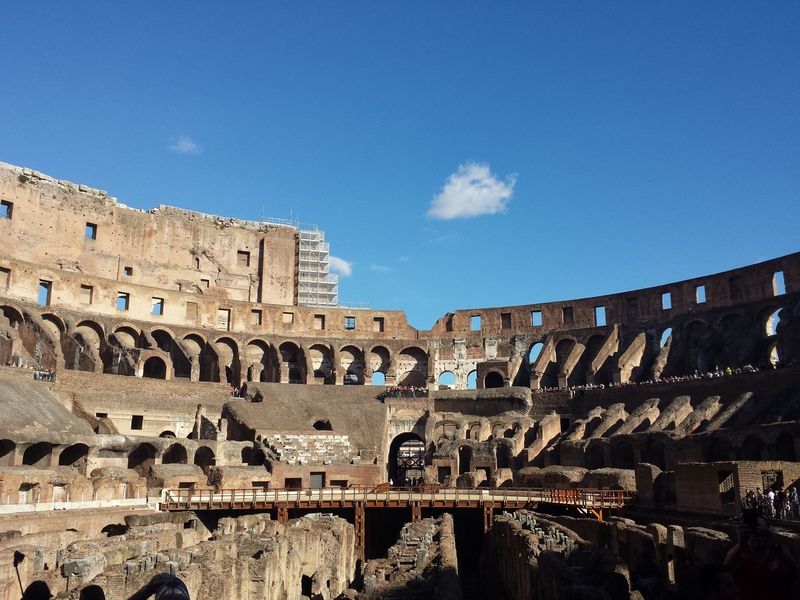 Rome, there is truly nothing like it. 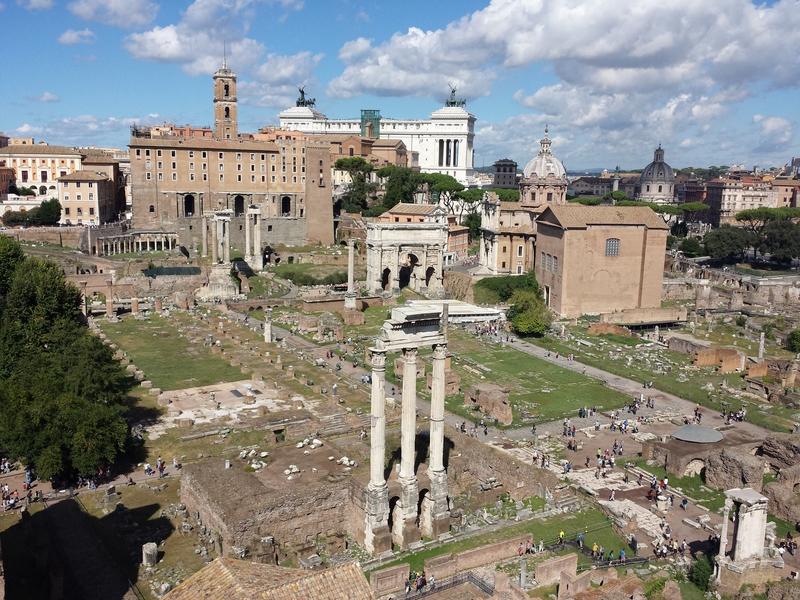 This is Palatine Hill and The Roman Forum and the interior of the Colosseum.